Smartwatches and fitness trackers may one day benefit from artificial intelligence tech, or that's what Huawei thinks may be possible in the future. 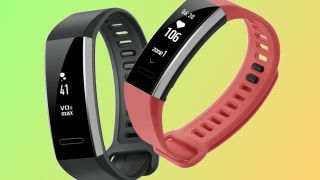 Peter Gauden, Huawei's global senior product marketing manager, told TechRadar, "The Huawei Watch 2 and Band 2 Pro are starting to help you in association with the app with things like running guides and training programs. "One possible route is to link those two together with artificial intelligence. We could add training programs as well as improve the intelligence and accuracy [of the device]." Gauden was very clear he was speaking about the far flung future referring to the idea as "blue sky thinking", rather than something we'll see on its next generation of products. Huawei introduced its artificial intelligence toting chipset - the HiSilicon Kirin 970 - inside the Mate 10 and Mate 10 Pro, that the company says allows the phone to learn your behavior to improve its performance. "It makes your smartphone experience that little bit smarter and helps it predict what you're going to do," Gauden said. "I think that's the panacea with artificial intelligence. It will not only work with linguistics and imaging, it's connecting the dots and being able to extrapolate from what it has learnt and what it understands about you, what you could want to do and should be doing next. "That's something quite important in this space [wearables]. People can know information about themselves and what they're doing, but they might not be activity experts. They may not be training experts." If AI on wearables is going to happen, Huawei clearly believes it's in a good position to push them out. Gauden said, "With the Mate 10 Pro we've actually got on device AI. You've got intelligence in your phone directly and Huawei is one of the very few companies that has the capability of owning a chipset as well as that hardware production to be able to put it into one little nice package of everything you need." Don't expect to see artificial intelligence on the Huawei Watch 3 though. There's a chance that watch could launch next month at MWC 2018 but so far we've seen no rumors, so it likely will be a bit longer until Huawei introduces another wearable. Clearly artificial intelligence is a big driving force for the technology at Huawei, so it may be in the next few products from the company we'll see AI on your wrist as well as in your pocket.